Usage/Application: For Cutting Dehusked Coconut in to two Equal halves. It is used in Cutting Larger Copra Pieces into smaller pieces. With the help of our expert team members, we have been able to provide Copra Cutter. Available in various capacities. Consists of rotor fitted carbon steel knives working against comb type stationary knives. 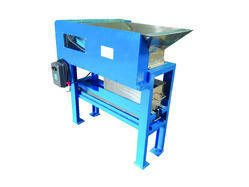 With our expertise and trustworthiness, we are engaged in offering an optimum quality range of Copra Cutter Machine. These are specially designed from best quality M.S. Steel that provides a robust construction design. The ease in operation and simplicity in handling these machines make them suitable for large number of operations. Specifications and other features: 1. The machine is fabricated from M.S. Plate and heavy Duty double roller bearings are fitted in the machine to ensure smooth performance giving maximum output. Our clients can avail from us a qualitative range of Copra Cutter. 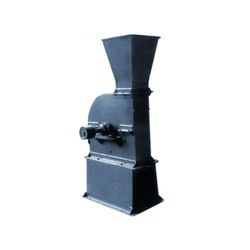 It is an important tool in the oil mills machinery used to cut the copra into small pieces. We manufacture coconut (copra) cutters which has high speed of processing and a robust fabrication.